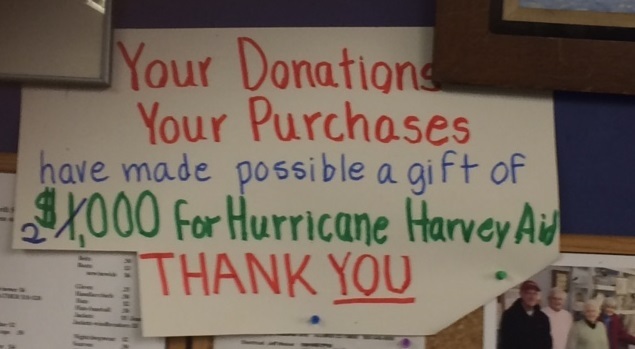 Our Thrift Shop fulfills a mission in two ways. The Thrift Shop items are very inexpensive and cashiers have been known to give items for shoppers clearly in need. 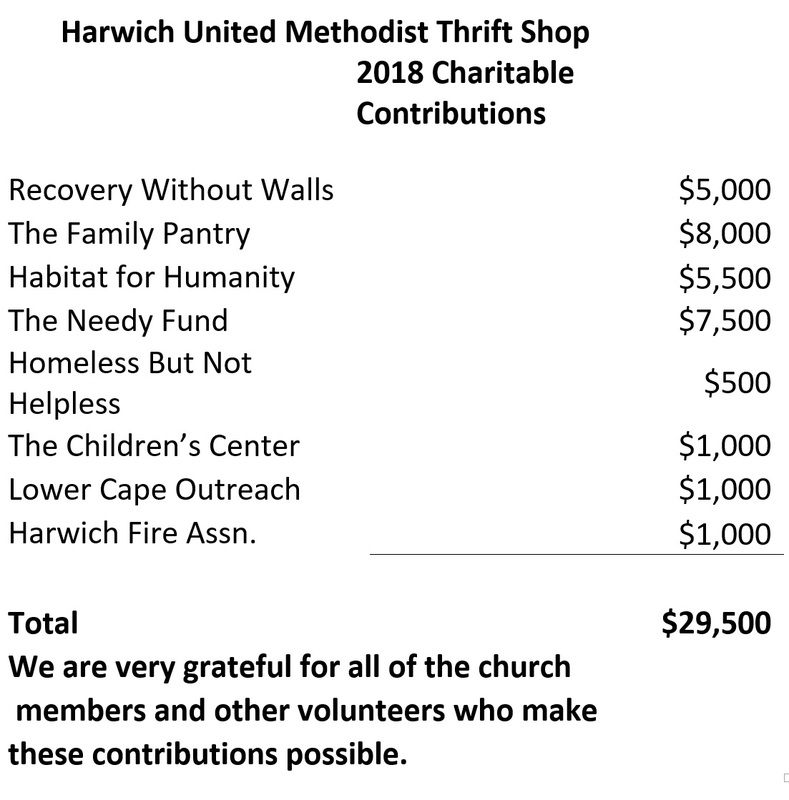 This shop opened in 1995 and is run by volunteers who are members of the church and other friends who are not affiliated with HUMC. Since 1995, contributions have been made to charitable organizations shown and to the church. Update: We are pleased to announce that our Thrift Stop has collected over $2000 in funds for Hurricane Relief victims. We thank you to everyone who visited our store this Fall.